In this example will develop a form of type “Multiple Records” using resources: boundary lines, page links, calculator and numeric field using the Spin up / down option. 1. 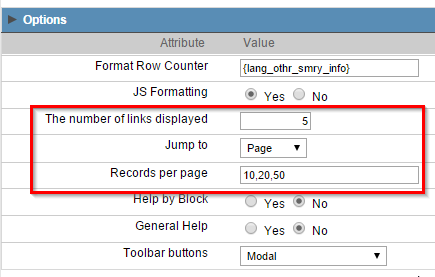 Create a new application form type (Multiple Records) based on OrderDetails table. 3. 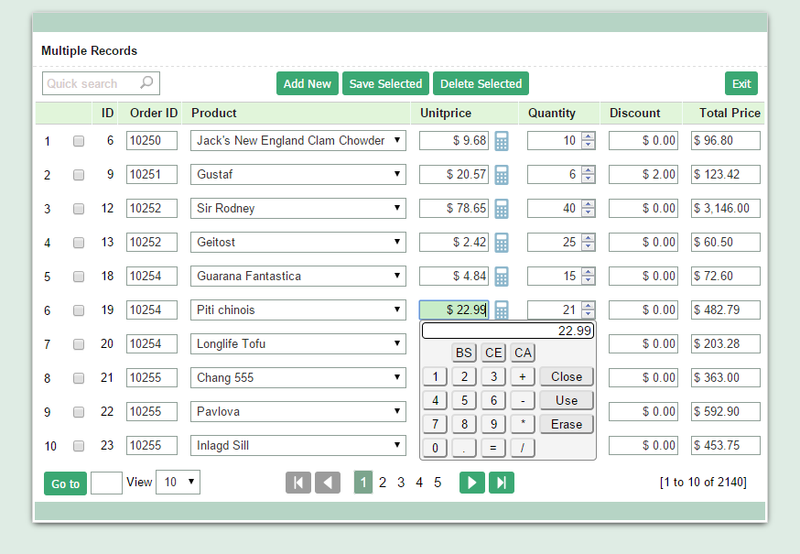 Add the button “Select quantity” and “Navigation page” on the toolbar. 4. 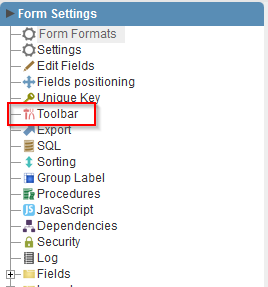 Also in the item “Toolbar” go in “Options” tab and set according to the image below. 5. In the application menu go to the field settings “UnitPrice” in Fields folder. 6. 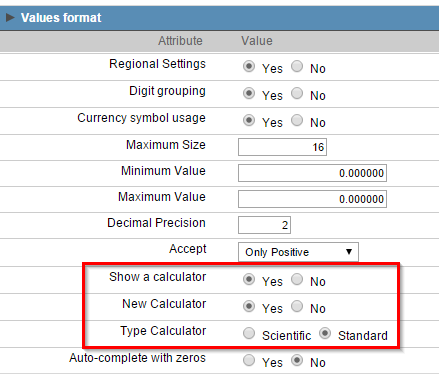 In the “Values Formatting” check the “display calculator”. 7. 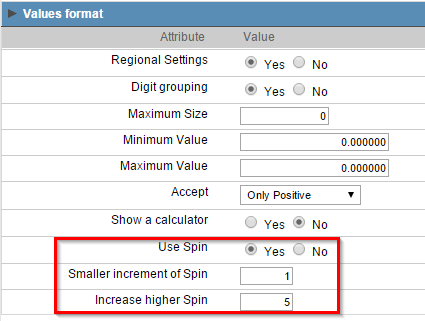 Access the edition of the “quantity” and on the “Values Formatting” check “use spin”.